Blogging used to be just a hobby before it became a necessary thing for every brand. Today, every new brand or startups require a blog. Individual bloggers are also turning into professional bloggers these days. There are ample opportunities for bloggers to monetize their blog and make money online. However, not every blogger makes money out of their blog. Some quit soon and some never figure out what went wrong. So here is my comprehensive guide on how to start a profitable blog from scratch. 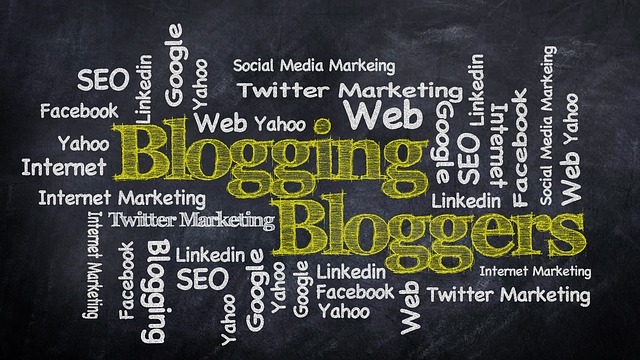 There are multiple blogging platforms available online. Newbies most of the time end up choosing the wrong one. This is because they don’t want to go into complex things. There are platforms like Blogger, Tumblr, HubPages etc. but nothing works like a self hosted WordPress blog. Though it sometimes becomes too technical, its still worth it. Self hosted WordPress has advantages over other platforms. It offers more customization options. Since it becomes a self hosted, you will have a better control over your website. Thus, if you choose the wrong platform then chances are there that your blog won’t get the kind of exposure it deserves. So choosing the right platform increases your chance of creating a profitable blog. Domain name is something for which you will be known for. So choose your domain name wisely. Think of different names for your blog before finalizing on one. In the mean time, look for domain name availability. You can try GoDaddy to search or purchase a domain name. It is the largest domain name provider company. Choose what TLD you want for your domain. Whether you want it to be .com, .info, .net etc. Choose names which your readers can remember easily. Try to choose a shorter one because they are easy to remember. There has been a lot of change in WordPress hosting over the last few years. There are now managed WordPress hosting plans to kick-off your blogging journey sooner. They are less technical and help you in being more productive. GoDaddy, Bluehost and Hostgator are few of those popular WordPress hosting providers. They are famous because of their service. It is very important that the hosting you choose has higher up-time guarantee. If your website is not reachable most of the time then it creates bad impression for your blog brand. People will not visit your blog often and thus you will lose profits too. Nobody will like an ugly looking blog. right? So why not dress up your blog with a decent theme. WordPress has a wide variety of themes in its directory. Some are paid and some are free. However, WordPress themes providing services like Elegant Themes and StudioPress have some of the best themes in the market. There is a famous saying that “A book is judged by its cover”. It applies to your blog too. A good looking blog has more chances of reader’s engagement. More engagement means more profits. So dress up your blog with a beautiful theme. Consistency is very important. Your readers subscribe to your blog because they want to see more of your content. So respect that and blog regularly. At least once or twice in a week will also give the best results. After so many SEO parameters, content is still the king for any blog. So if your blog has more content then chances are there it will give more traffic. More traffic means more sales and profits. Your blog may have too many posts and pages but what is the point if its not visible to search engines? These days people use search engines a lot. So its very important that you optimize your blog for search engines. Submit your blog’s sitemap to popular search engines like Google, Bing, Yahoo, Yandex etc. Follow the SEO practices regularly. Optimizing images, keyword research, using html tags, interlinking pages etc. will bring more free traffic from search engines. Users spend a lot of time on social media these days. This is one medium which you can not ignore while promoting your blog. Social media not just brings traffic to your blog but it is also a signal for search engine ranking. Promote your blog to Facebook, Twitter, Instagram etc. Connect with your audience there. More shares to your posts will drive more traffic to your blog. As I said earlier, there are many opportunities to monetize a blog these days. However, the best option varies from niche to niche. The different options could be Google AdSense, affiliate marketing, eBook, paid services etc. Experiment with your blog and identify the best way to monetize your blog. Find the best ad placement spaces on your blog and increase the conversion rate. Subscribers are the people who are interested the most in your blog’s content. You will see most top notch bloggers recommending you to build the email list. That is because money is in the list. Email marketing plays a very important role when it comes to selling products online. Connect with your audience through emails and send them regular emails. You can build email list using email marketing services such as AWeber, ConvertKit, MailChimp etc. They work very well with WordPress blogs. It takes time for any blog to grow. Do not expect overnight success when it comes to blogging. It takes time to do all of the above listed things. If you lose patience in between your blogging journey then you are likely to fail. As I said earlier, some quit it halfway through and some don’t rectify their mistakes. Experiment with your blog and over the time, you will come to know what works best for your blog. So these are some of the points that you should keep in mind while creating a profitable blog from scratch.